In December 2018, Florence Mwikali – Programmes Officer – and Beatrice Muiyuro, – Finance and Admin Manager – from Coalition On Violence Against Women (COVAW, our programmatic partner in Kenya), travelled to Senegal to learn from Tostan, another of our grassroots partners. 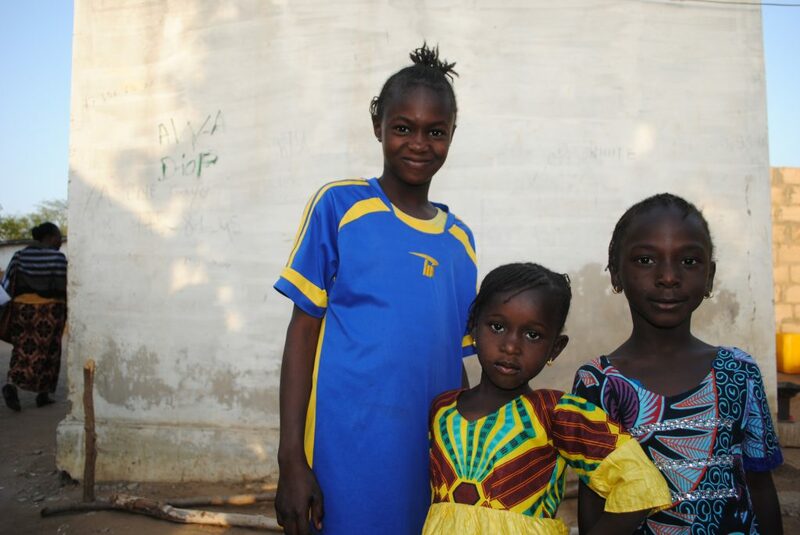 Tostan’s community-led, human rights-based programme has resulted in nearly 9,000 communities abandoning female genital cutting (FGC) across West Africa, and Orchid Project sponsors activists and representatives to learn from their approach. 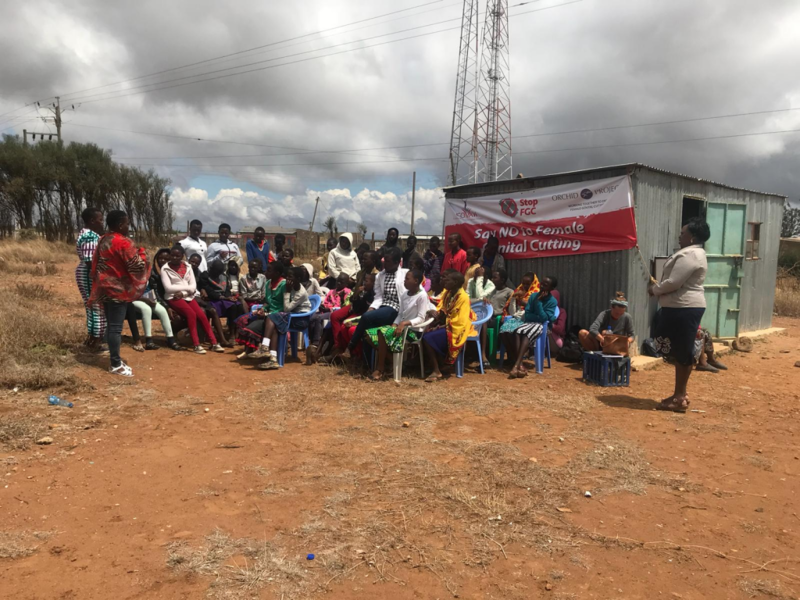 Florence and Beatrice were excited to take their learnings back to Kenya, where their grassroots work opens up dialogue about FGC within practising communities, with the aim of total abandonment of the practice. In this blog post, Florence shares their experiences and key learnings from the ten-day seminar in Thiès. When we learned about our imminent trip to Tostan’s Training Centre, Beatrice and I were thrilled to discover that we’d be learning from their approach which is grounded in community empowerment. This was significant for us since their community-led approach to ending FGC has seen such inspiring results. As representatives of COVAW, we were excited to learn more, and think about how we can integrate Tostan’s methods into our own programmes, to accelerate an end to FGC. A COVAW community dialogue in Narosura town, Narok, Kenya. My colleagues and I work across different communities in Kenya such as Narok, Kwale and Kiambu counties, as well as in Kisumu and Nairobi. These communities are usually rural or poor urban areas where access to education is low and many children, especially girls, don’t transition to secondary school. FGC can be a significant factor in school dropout rates both in Kenya and around the world. Girls can experience health issues that take them away from their studies, or they may be married off to older men after being cut, and then no longer go to school. In Narok County, where 78% of women and girls undergo the cut, compared to the national prevalence of 21%, FGC is likely to be a major contributor to low access to education. With these issues in mind, we left for Senegal with lots of enthusiasm for the training which took place from the 4th to 13th of December. It didn’t disappoint! It was amazing being in the company of other representatives and activists working on similar development issues, with a determination to end FGC. It was incredible to learn from people from different backgrounds and communities, as we were able to learn from each other and envision how Tostan’s community-led approach could be applied to different contexts. We had the opportunity to visit Keur Simbara, a village in Senegal, which had worked in partnership with Tostan and was one of the first to publicly declare an end to cutting back in 1998. The women and men welcomed us with music, dancing and sketches about human rights. It was inspirational to see women in leadership roles and to think of how they were now role models to the next generation. Even more inspiring was the thought that girls here have not been cut, and in fact may not even know what cutting is. We were surprised to learn that, even though Keur Simbara had achieved their vision of wellbeing through understanding human rights and taking ownership of their futures, they were still determined to constantly improve their community. This definitely made me realise that working towards a society free from all forms of violence against women is a constant learning experience. Girls in Keur Simbara, May 2018. Tostan shared more about the importance of recognising FGC as a social norm, upheld by a community. We also learnt that practising communities place value on FGC. It is a sign that a girl has become a woman and can give one a sense of belonging to a group. Understanding the practice from this perspective emphasised how important it is to use positive messaging and a non-judgemental approach. This allows communities to openly discuss their experiences and why they continue with the practice without feeling judged. In Keur Simbara, this approach resulted in a happy, visionary, empowered community, where girls are not cut and can go on to be future leaders. Tostan’s approach has led to widespread abandonment of both cutting and child marriage across West Africa, and since returning to Kenya we’ve been working to implement these learnings within our own programme. This includes integrating a human rights-based approach and positive messaging to our existing framework. We’re also working to increase the number of community activists going out to villages to engage in open, non-judgemental discussion to hear from communities and share information about human rights and harmful practices. The Tostan training was an amazing ten days of learning and growth, and I’m thankful to Orchid Project’s Fellowship Programme which enabled Beatrice and I to learn from other grassroots partners and activists. With our combined knowledge, skills and effort, I believe that the movement to end FGC within a generation is well underway and I’m hugely proud to be part of it.